Ken Merryman is a retired computer engineer and founding member, past president, and current board member of the Great Lakes Shipwreck Preservation Society. He is a veteran speaker at shipwreck shows including Gales of November and Ghost Ships, and gives several shipwreck talks each year. Ken has been an avid Lake Superior shipwreck diver for over 40 years and operated a scuba diving charter service for 40 years. Although his charter business operated mostly at Isle Royale National Park, he also frequents the Lake Superior North Shore, the Apostle Islands, Lake Michigan and Lake Huron to dive and search for new shipwrecks with his shipwreck hunting partners of 25 years, Jerry Eliason and Kraig Smith. His underwater photos and videos can be seen at museums and shipwreck displays around the lakes. 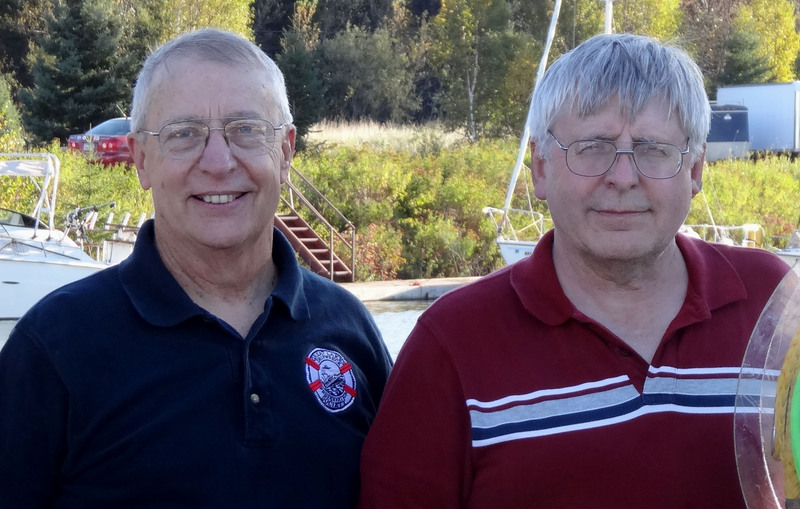 Jerry Eliason started diving in the small lakes around Rice Lake Wisconsin in 1966. His first dive in Lake Superior was in 1968 with a wetsuit but without hood, boots, or gloves. From 1976 to 1989, he logged over 700 wreck dives. After a case of the bends in 1989, he has focused his attention on locating previously undiscovered shipwrecks. In collaboration with Kraig Smith, Ken Merryman, Randy Beebe, son Jarrod, and wife Karen; Jerry has been part of 13 successful shipwreck hunts including the 'went missing' wrecks BENJAMIN NOBLE and HENRY B. SMITH. The most recent discovery Jerry participated in is the SCOTIADOC. 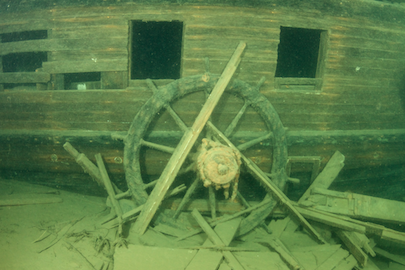 875 feet deep; the SCOTIADOC is the deepest shipwreck ever discovered in the Great Lakes. This past December, he received the University of Wisconsin - Eau Claire Alumni Distinguished Achievement Award. Jerry plans to retire from shipwreck hunting once he finds the U-656; the first German U-Boat sunk by US Forces in World War II. Last summer Ken, Jerry, and friends circum-navigated Lake Superior and found two new shipwrecks along the way. Both wrecks were very old and amazingly intact. The packet steamer J. S. Seaverns sank in 1884 in a remote eastern corner of the lake and has totally intact cargo and passenger cabins and galley. The Facebook short of this wreck had over 230,000 views not counting some of the TV network sites. The schooner barge Antelope was converted from a steamer and sank in 1897 off Michigan Island in the Apostle Islands. It is intact and sitting upright with two masts still standing. Join them as they share the stories and video of these two amazing discoveries.